There Goes our ‘Hood! 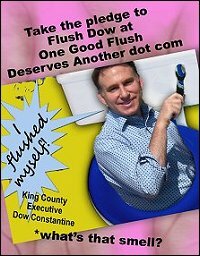 | Re-Elect Dow Constantine King County Executive? Not Really! An Endangered Species of Neighborhood is Now Extinct! Below, you will find Before and After photographs of the destruction of a one-of-a-kind neighborhood that took place during the summer of 2013. The “Before” images are Google Map screen shots downloaded August 15, 2013. The “After” photographs are Copyright 2013 Ron Sterling All Rights Reserved, which were taken during the period August 15, 2013 through September 18, 2013. Paul’s House got eaten first and its destruction is shown last on this page. Most of the photographs were taken from my home, which used to be known as “The West Seattle Ducky Reserve” (see DuckiesRule.com). No more. 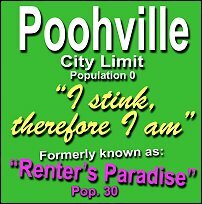 It is now known as “De-Elect Dow Constantine Central”. My home is directly across the street, west of the Renter’s Paradise that has been extincted, at 7031 Beach Drive SW, Seattle, WA. “Before” is on the left and “After” is on the right. Ninety percent of renters in this neighborhood have been and continue to be long term. 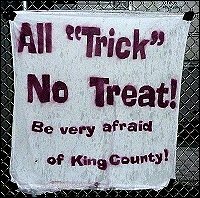 “Long term” (unless King County scares renters away with eviction notices) continues to mean, more-or-less, “until they die.” The grey/red standalone cottage was known as “Paul’s Place.” The grey two story home with the red door was “Ed’s House.” “Home Sweet Home for Rebecca” was found in the grey 6-plex with white picnic chairs and bench in front. I am a renter. Approximately 30 renters in 10 different single-family cottages and 4-plexes still have a presence on three properties south of Lowman Beach Park, with about another eight or so renters in various settings further south towards Lincoln Park. This renters’ paradise was murdered, with the support of Dow Constantine, King County Executive, currently up for re-election, and his “West Seattle Pals,” Tom Rasmussen, Joe McDermott, the 34th District Democrats, the Fauntleroy Community Association, and assorted Dow bankrollers (like David Jones), and the Seattle Mayor, Mike McGinn. View these photographs and weep. That is, if you are a renter, or if you are a person who understands that preserving this type of rental property is extremely important. 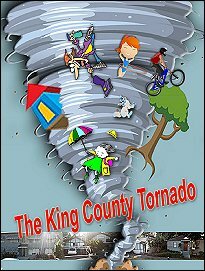 If this neighborhood had been an endangered animal instead of endangered rental property, King County would not have been allowed to destroy it. So much for respect for renters, eh? It is more than clear from the way the City of Seattle conducts itself that the City’s goal is to ghettoize renters in “walled up,” densely grouped, apartment complexes, not unlike slave quarters. Top-dollar apartments, no doubt. And, apparently the brainwashed populations don’t get it. The City has embedded its agenda in the minds of the mostly sheepish renter population of the City that density is good, suburbia is bad and that sacrificing personal space, privacy, and “quiet enjoyment” is no big thing. In fact, don’t think of it as a sacrifice, think of it as saving the planet. Yah, right. Commercial architects, construction companies, real estate, most landlords, retailers and slave-driving employers get it. Links to More Information About The Case of the Missing Neighborhood. One Good Flush Deserves Another! 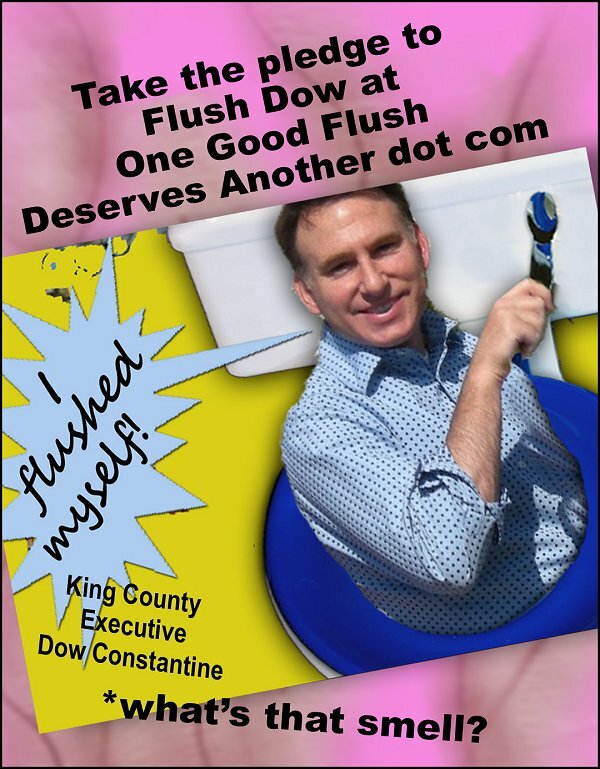 Don’t re-elect Dow Constantine! De-elect and flush him and his destructive, insensitive pals, as soon as you can! 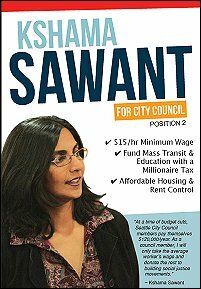 What Now West Seattle? The recreational area you save may be your own! If you care about the Lowman Beach Park recreational area, well, do something! Early efforts by Ron Sterling starting in late 2004 to protect Lowman Beach Park. Ron grabbed the advocacy steering wheel for the neighborhood when he moved there in 2004, because the neighborhood was asleep at the wheel. The Neighborhood is Gone! Long Live the Sewage Tank!